Screenshot of one of Tyler Oakley’s many videos centered around LGBTQ+ issues. “Hey guys!” says a young man sitting in the comfort of his own home, speaking to a camera in a sing-song voice. Though he cracks a few jokes to his nearly 200,000 silent viewers, he is addressing a very relevant and important topic. He is not a reporter or a news anchor, and he has not had any professional training; he is a YouTuber. For many young people all over the world, watching YouTubers is one of the most popular ways to consume media and learn more about the world, and the diversity of the people and communities within it. People are drawn to influencers on social media because they are essentially their peers; they seem less professional than traditional journalists, and evoke feelings of comfort and trust. With traditional media news outlets at an all time low level of trust, the humanistic storytelling approach of social influencers on platforms like YouTube and Instagram is certainly something to be admired. Screenshot of Surya Harikrishnan from website. 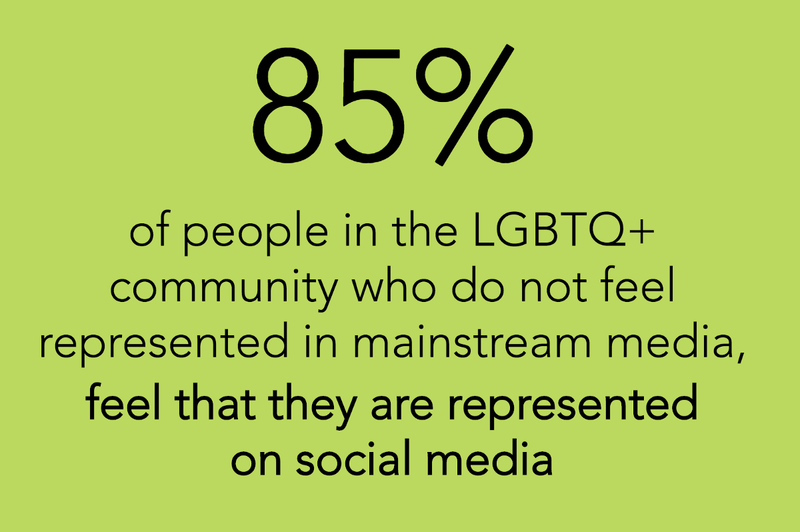 A community that has taken advantage of social media to tell their stories in their own way is the LGBTQ+ community. Some of our peers spoke to our team about social influencers, and Surya Harikrishnan brought up one of the most recognizable YouTubers out there. “He takes a clear stand but at the same time he’s not… boring and drab like some mainstream, traditional legacy media outlets”, Harikrishnan said of LGBTQ+ influencer Tyler Oakley. “He speaks about the same issues, the same topics, [and] the same people but it’s just so much more accessible, fun and has… more impact on audiences”, Harikrishnan continues. Not only is Oakley a wildly successful storyteller, but as an influencer with millions of followers he is a natural target of both small and large businesses who want to use his face and name to sell their products. “Influencer marketing” has become increasingly more popular among companies as an almost guaranteed way to successfully sell more products. According to the Collective Bias study, 70% of millennial consumers are influenced by the recommendations of their peers in buying decisions. So, if social influencers hold this much power over product purchases, they also have the power to break down biases about their own communities and identities. This has been proven over recent years, as people have been flocking to social media to find the place where they fit in and share personal stories both inside and outside their own communities. A prime example of this lies with individuals within the LGBTQ+ community, who have been using Instagram and YouTube to meet other people like themselves, share their stories, and break down misconceptions since the rise of social media. 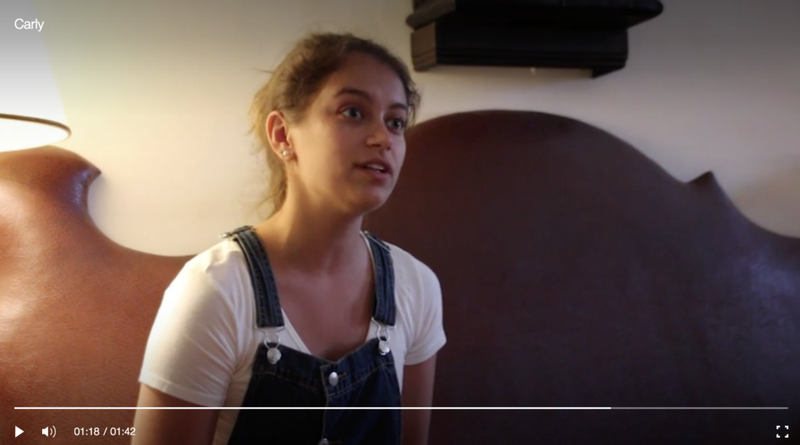 The LGBTQ+ community’s use of these platforms introduces a very humanistic approach to storytelling and community education, something journalists could certainly pull from in order to re-imagine the way they present stories from all over the world, particularly those centered around minorities and marginalized communities. A statistic pulled from the LGBTQ+ survey we conducted, as displayed on the website. 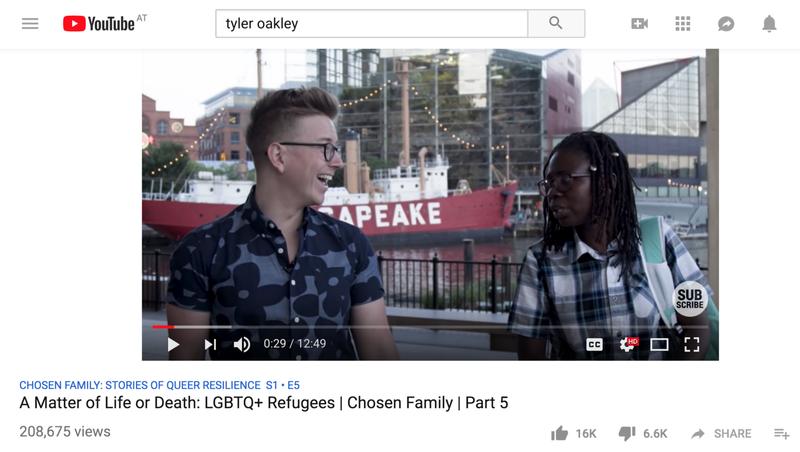 Journalists can adopt the human-centered storytelling approach used by LGBTQ+ influencers on Instagram and YouTube in their own work to bring a more humanistic approach to their reporting style. Our proposed solution targets misrepresentation in mainstream media by educating journalists on the techniques implemented by LGBTQ+ influencers on Instagram and YouTube. We have created a multimedia website that contains a combination of elements that prove the power that influencers hold, both by the numbers and through personal accounts. The process of building the website started with two separate surveys being sent out through social media and other networking sites to gather data concerning LGBTQ+ representation in both mainstream and social media. Our first survey received 63 responses from the LGBTQ+ community, representing nine countries. The questions in the survey centered around how individuals in this community saw themselves represented in both mainstream media and on Youtube and Instagram. Carly Haynes gives a personal account, as documented on the website. Our second survey received 142 responses, also representing nine countries. 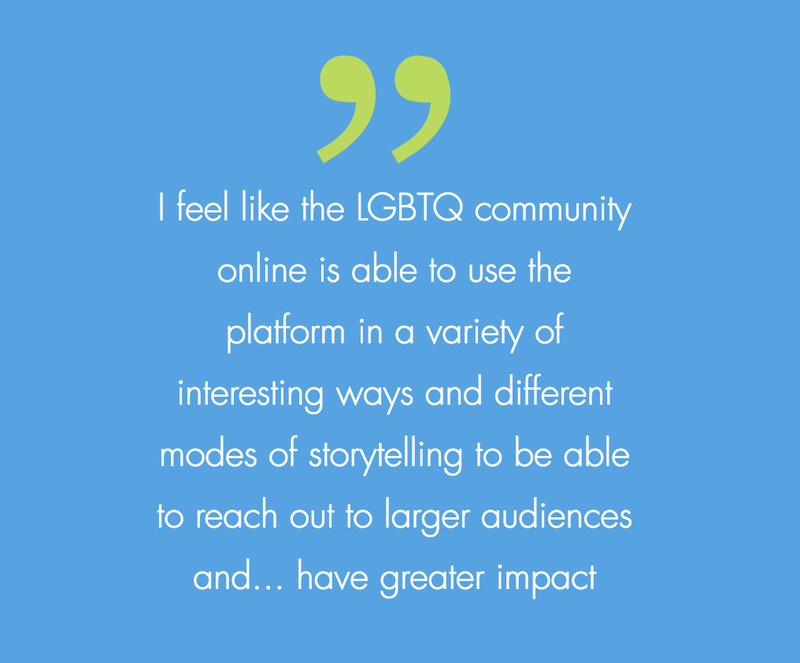 The questions in this survey asked respondents about their experience with LGBTQ+ influencers online. Our next step was to interview our peers to gather personal accounts relating to our topic. We interviewed four different individuals from three different countries that resulted in an expansive array of differing opinions from both the LGBTQ+ community, and allies. We have also included a form for those who interact with our site to share their own similar experiences, in order to have a collaborative and ever-growing network of stories. All of our research, statistics, and interviews have been compiled on this website which demonstrates that influencers in the LGBTQ+ community have played a very important role in slowly creating a more queer-inclusive world. Our suggestion to journalists is this: explore the way that the most influential LGBTQ+ content creators represent themselves, their community, and share their stories online. 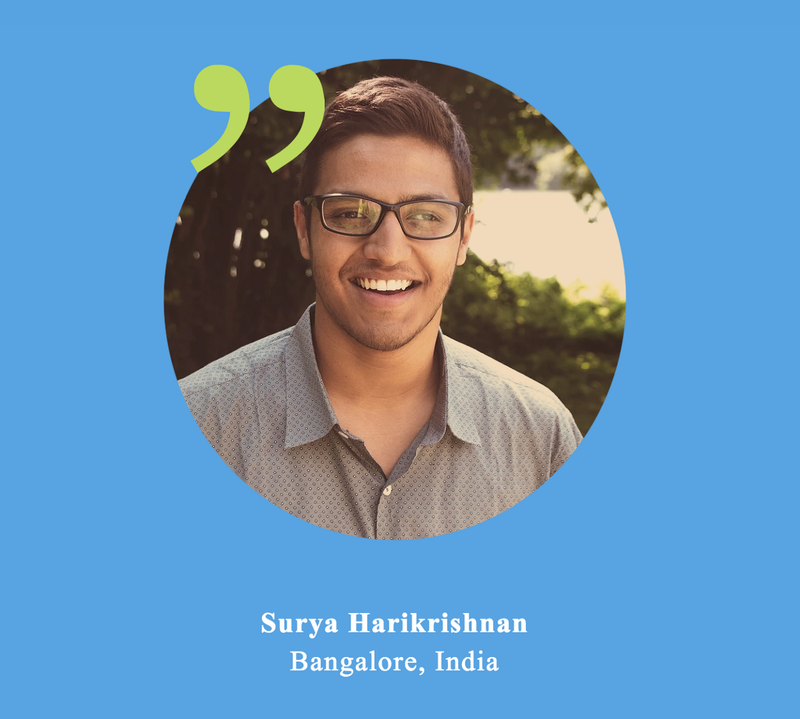 Quote from Surya Harikrishnan’s personal account, as shown on the website. Learning from this model will result in a less forced and structured way of consuming news, stronger engagement, and more accurate telling and retelling of important stories. If journalists adopt a more humanistic approach to their storytelling, it will result in a deeper connection to their audience, therefore re-establishing the trust between journalists and communities that has been lost in recent years. If you’d like to share your own story, or find out more about this project, you can visit the website here.